If you’ve ever had a lost or a stolen phone you already know how this can hurt in so many ways: from all that money lost if it was an expensive device to its content (especially If you didn’t have it backed up somewhere else) and of course, the risk of privacy invasion and even identity theft. Even if you’ve been lucky enough so far and never lost a phone in your life, as smartphones get more powerful and expensive, they become increasingly attractive for thieves, so taking some protection measures is a must. 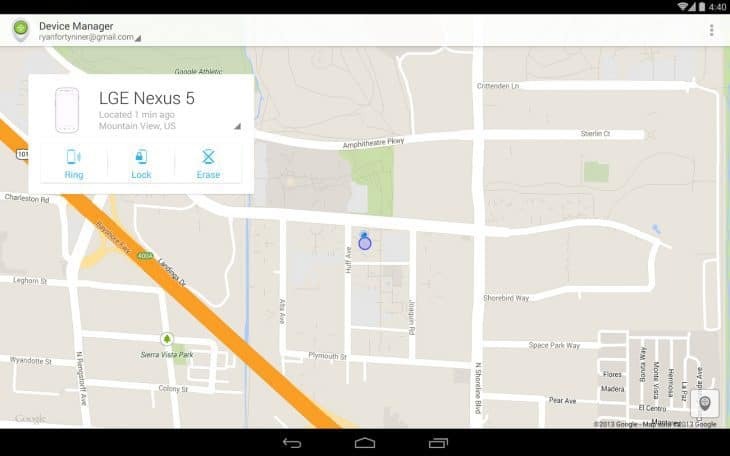 Google’s Android Device Manager is one of the OS built-in features – although it should be enabled by default, you should still make sure it actually is. You can find the Android Device Manager options in your phone’s Google Settings -> Security. The app can remotely locate your device, but also lets you remote lock and factory reset your phone. For the location tracking to work, your device needs to be connected to the Internet and to your Google account. You can simply search Google for ‘Where’s my phone?’ to get your phone’s location on a map in search results. In terms of reliability I would honestly give ADM 2.5 stars right now. On some devices it doesn’t work at all, on others errors occur often and location tracking is not very accurate so don’t expect to walk right to your thief and pry your phone out of his hands. Also, ADM needs your phone to be online, so if it was offline when you lost it or it got stolen and the thief was smart enough not to connect it to the Internet, the app won’t work. Cerberus is still the no. 1 anti-theft app for Android devices, as it has the most comprehensive collection of features that not only let you locate your phone, but also control it remotely from your web browser or via SMS, make it ring even if it was set to silent mode, display a message on the screen and access the complete location history of the device. The app can even use your phone’s camera to take pictures and record videos of the thief, retrieve call history and wipe your phone’s internal storage and the SD card. 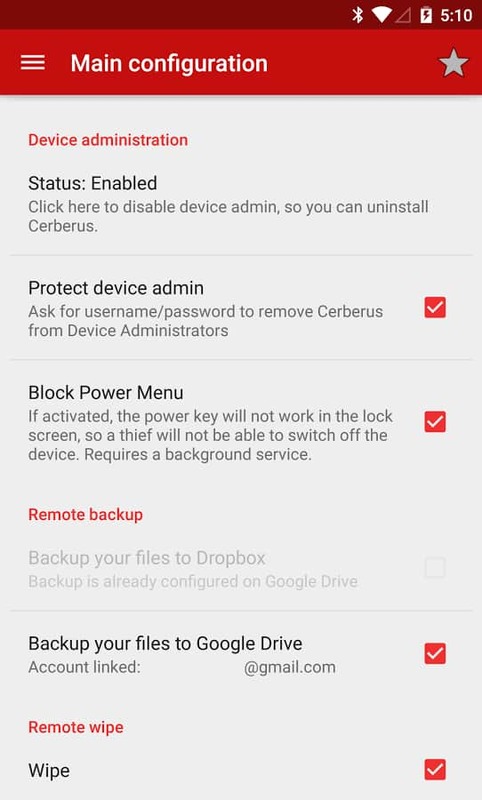 The app’s settings offer a number of security options designed to prevent the thief from disabling or uninstalling Cerberus. Also, it lets you block the Power Menu and disable access to the status bar from the lock screen. Cerberus is even more powerful for rooted devices since in this case it can be installed as a system app and as a result survive factory resets. Another handy feature available for rooted phones is the ability to automatically enable GPS once you start tracking the device. There’s also some support for Android Wear. The app lets you connect your wearable and it can display a notification on your wrist when it loses connection with your phone. Should the phone be offline, the app still lets you control it remotely via SMS, even if the SIM card is changed. Cerberus costs a little over 5$ (the same license can be used to manage up to 3 devices), but it does have a 7-day free trial. This app offers an interesting option for theft prevention if you’re used to leaving your phone unattended or charging in public places. It lets you set a motion alarm that goes off if someone tries to move the phone, and a charging alarm that goes off when the phone is unplugged from the charger, among others. You can also set a delay for alarms, so you’ll have enough time to enter your PIN or pattern lock before they go off. 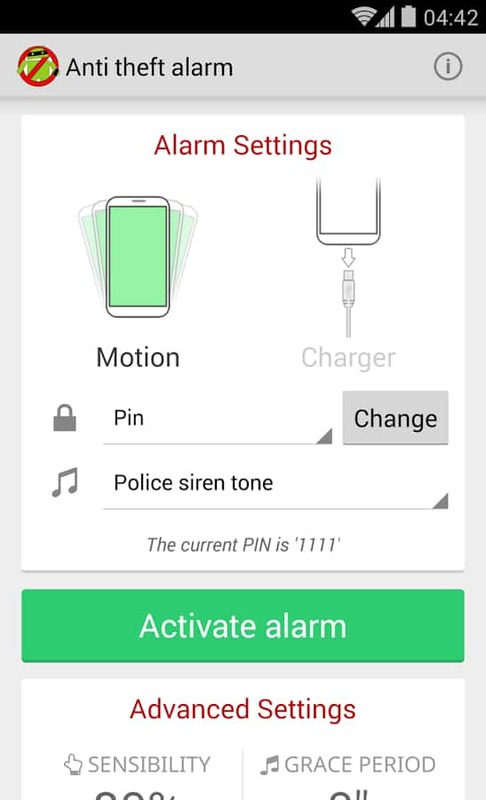 While Anti Theft Alarm only works for these specific situations in which your phone is either charging or not moving, it does its job very well. The app’s free version is ad-supported and users can upgrade to pro via an IAP. There are many more apps out that you can try. Add the ones you know in the comments.